There are so many blogs for criminal justice students to choose from. There is a seemingly endless supply of police officer, criminology and justice system blogs to wade through. There are three awesome blogs in particular that criminal justice students will love visiting. The Museum of Crime and Punishment, in Washington D.C., has one of the best blogs for up-to-date information on criminal justice issues. This is a great go-to blog for any criminal justice student. Criminal justice students will also love CopsAlive.com. They post blogs that are dedicated to the lesser-known dangers of police work. This is a great blog for future police officers and detectives. Finally, All About Forensic Psychology is a great blog for students. They offer tons of study aids and great information that relates to criminal profiling and forensic psychology. Crimemuseum.org has a really great blog for criminal justice students. This blog is run by the National Museum of Crime and Punishment in Washington D.C. The Crime Museum’s blog always has the latest news about the criminal justice system. Students are sure to get a wide range of crime related issues to read about. Forensic science, criminology and Supreme Court decisions are just a few topics that Crime Museum posts cover. Students taking criminology or psychology classes will appreciate a recent post about early warning signs for serial killers. Keeping up with the latest in criminal justice news is easy for students who subscribe to this blog. Information is professionally written and expertly researched. This is also a great place for project and essay inspiration. CopsAlive is a blog that is dedicated to keeping law enforcement officers safe. Criminal justice students know the dangers that cops face on the streets. They may also be familiar with the health risks involved in police work, including suicide. The founder of CopsAlive, John Marx, brings attention to a variety of issues that threaten the lives of police officers. Marx points out the real dangers of police work. He is an advocate for tactical plans and mission assessments. The mission of CopsAlive is to save the lives of fellow officers in the line of duty. This is a great blog for criminal justice students because it prepares them for careers in law enforcement. They’re going to get all of the tactical training they can handle in their new departments. This blog is dedicated to the lesser-known occupational hazards. CopsAlive addresses serious law enforcement issues like burnout and Post Traumatic Stress Disorder. Marx has found support for these issues to be lacking in criminal justice industries nationally and internationally. This fantastic resource gives students a look at the real dangers involved with criminal justice careers. The All About Forensic Psychology blog is a great resource for students who are particularly interested in criminology and criminal profiling. This blog has great study aids and resources for students that need a little extra help. 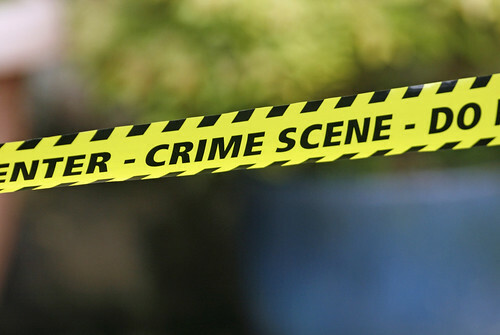 The blog is designed to help students who are studying the forensic science of psychology. Criminal justice and criminology students will find the articles and resources incredibly helpful. Blog posts can cover a wide variety of topics including body language, criminal profiling and investigative psychology. Students that are earning a minor in psychology, or wish to learn more about forensic and investigative psychology, will find this blog to be a great study resource. Criminal profilers must have a strong foundation in investigative and forensic psychology. Students will also appreciate that the blog offers free study aids. Taking advantage of the resources and information on these blogs will give criminal justice students that extra edge. Karen Keller is a criminal law paralegal and guest author at Top Criminal Justice Schools, where she contributed to the guide to the Top 10 Best Online Criminal Justice Schools.